Tiles deteriorate, and grouts stain despite using the best quality that money can buy. Maintenance is the key practice for keeping your tiles and grout in good condition. Tiles in heavy traffic areas such as bathroom, pathways, and kitchen require regular cleaning to prevent loss of surface gloss, chipping, and staining. Below are the best ways to achieve quality tile and grout cleaning in Cherry Hill, NJ. The temperature output is a critical factor when cleaning grout and tiles. Modern models, especially the steam cleaners, have output temperatures as high as 386 Fahrenheit. Such temperatures are ideal for melting the toughest stains and impurities from tile joints and grouts. The high output temperatures also ensure that you use less water during the whole process. The super-heated water facilitates a dry vapor output since the liquid water content after cleaning is less than 6%. One problem commonly experienced when using cleaning machines is stopping to refill the boiler tank. This is time-consuming, and you, therefore, need to consider cleaning the tiles and grouts with a machine that has automatic refilling. Many floor steam cleaners have this feature in the modern market. There is an additional tank that fills first to allow water to refill in the boiler tank. When the water level falls below a certain mark, automatic refilling is enabled. 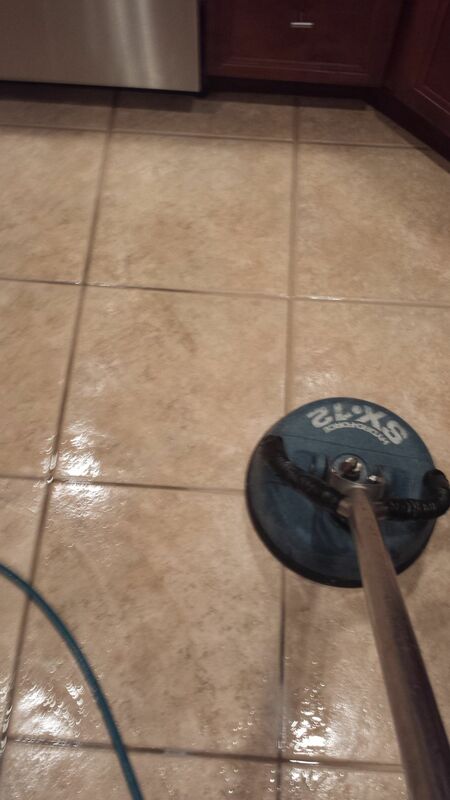 Cleaners with the attached vacuum are very important for quality tile and grout cleaning in Cherry Hill, NJ. This warns you against using conventional steam cleaners since they don't have this feature. Apart from melting impurities for a glossy look, having a separate vacuum perfects the wiping of melted dirt. Modern machines have incorporated the vacuum cleaner to melt and wipe the impurities simultaneously. This ensures your tiles and grout are cleaned efficiently and easily. For you to execute quality tile and grout cleaning, you need to choose the right machine that has all the highlighted features. The output should be sharp in removing dirt and dust, especially when using steam cleaners for the task.